A steady J O B...that's what I called this last 'Gig', and now that I've wrapped it up...I'm wondering if I've accumulated any benefits for an unemployed 'Genealogist/Family Historian! That's right I'm D O N E!!! At least with Martha Jane Marley Carroll's Photo Album Scrapbook! Now, I'm an out of work Family Historian/Scrapbooker with a new list of SKILLS! I read just today HERE that these are Marketable Skills. So, I'm 'Hangin' Out My Shingle'! 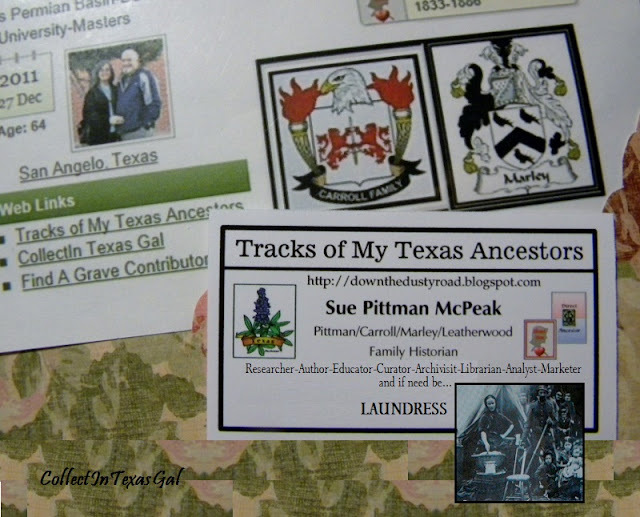 More than likely, I'll have more takers by 'Hangin Out Shirts N Socks', and the LAUNDRESS ad on my Genealogy Callin' Card will generate more interest than Archivist and Analyst. I imagine the following ad for a LAUNDRESS must have sent many a Texas Pioneer Woman to fill her wash tub with smelly socks, homespun shirts and lye soap. 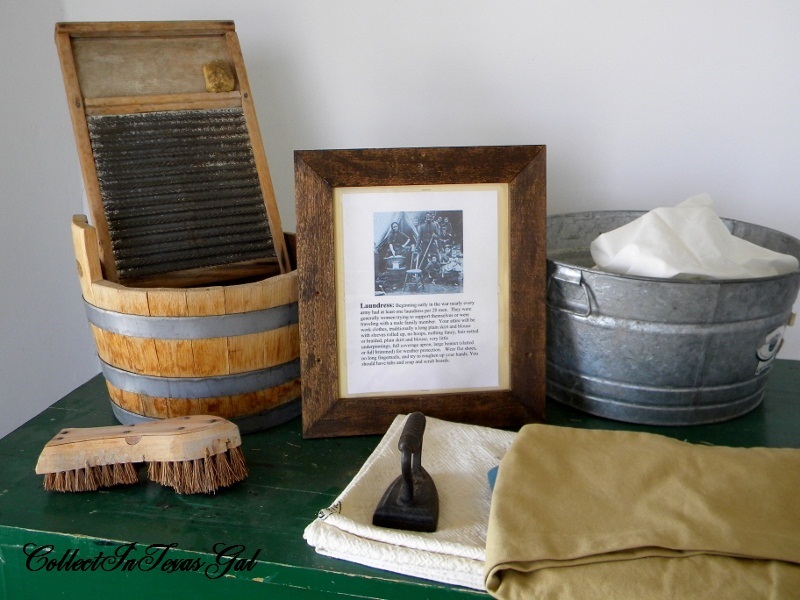 Beginning early in the Civil War in Texas, every army had at least one laundress per 20 men. 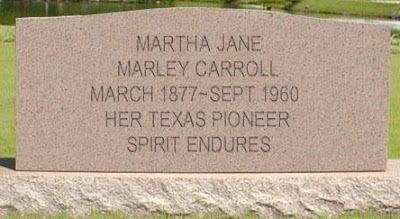 They were generally women trying to support themselves or were traveling with a male family member. 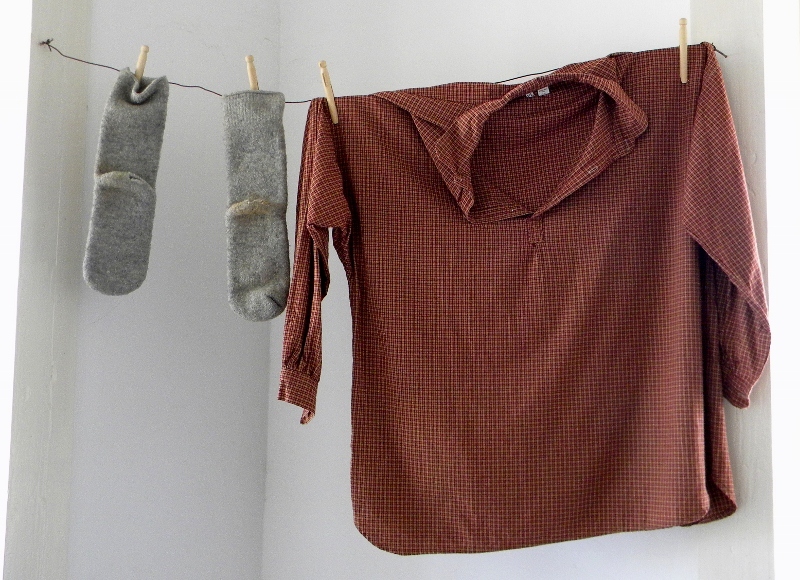 LAUNDRESS Wanted: Your attire will be work clothes, a long plain skirt and blouse with sleeves rolled up, no hoops, very little underpinnings, nothing fancy, hair netted or braided. Full coverage apron, large bonnet (slatted or full brimmed) for weather protection. Wear flat shoes, no long fingernails, and try to roughen up your hands. You should have tubs and soap and scrub boards. 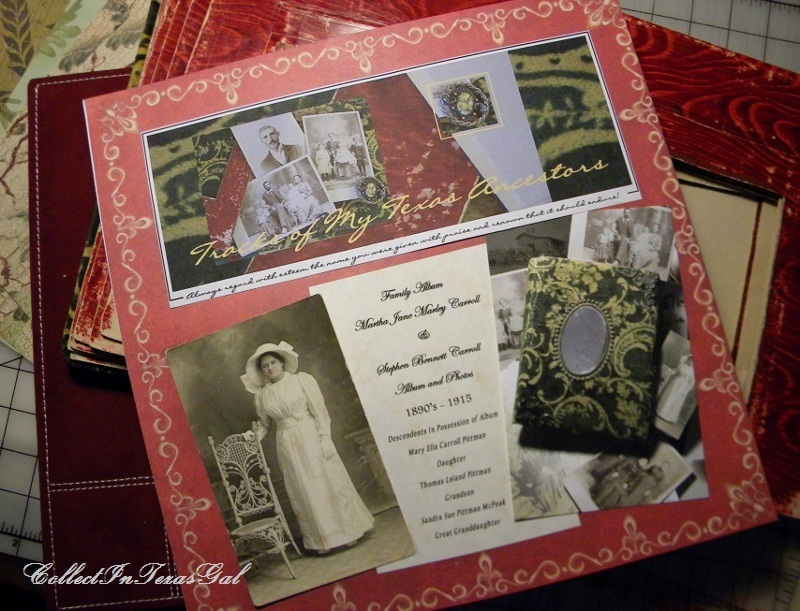 My Great Grandmother's Photo Album/Scrapbook was finished in time for Jacksboro Family Reunion. Martha Jane Marley Carroll came tumbling down. Congratulations on completing this wonderful task - this is such a marvelous idea - what a lovely tribute! You may not receive benefits but I bet you'll receive dividends! I love what you've done. You must be a very busy lady. I have my great aunt's scrapbook that's falling apart. And I've pulled off photos to see if she might have written something on the back. She was in the Ziegfeld Follies and a lot of the pictures are from that time period. You're right...I should get busy and preserve her photos before they're lost to time. I meant to ask you...did you scan the photos or did you use the originals? Hurrah! Hurrah! Sue, you are the absolute best of the best. Delightful post. I also understand what you are getting at. I am the one who does all the reunion planing for my big clan. Lots of work but the kudos' make it all worthwhile. Hi Sue, I bet you thought I was done with blogging. Not so, just have not been home for quite a while. I'm back and I have missed you very much. What you did with researching your family history is over the top awesome. I would hire you. HA! I would not be a laundress. A hard life for sure. I read your previous posts and as always enjoyed them all. I have never played golf. Good for you but 102 degrees would sure keep me inside with air. Smile. I am happy to be visiting you today. There should be an opening somewhere for a fine historian like you. At least monetary or health benefits. You are performing an important service to society. I'd never heard about those laundresses. Fascinating stuff. Hey Sue, are you finished with blogging too? I'm missing you.